A new landmark of Tokyo "SKYTREE"
Have a adventure at SOLAMACHI! 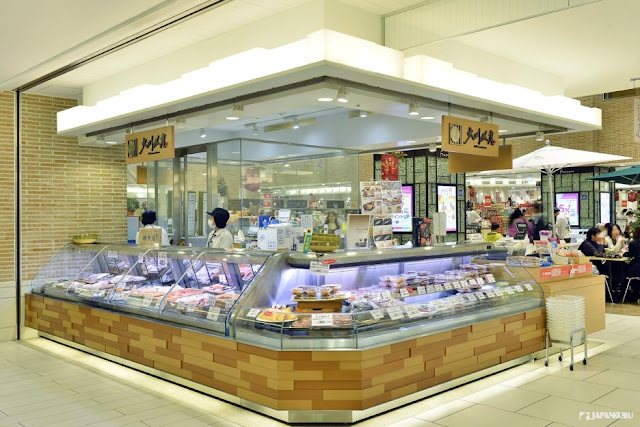 Let us introduce you a grand tour to shop in SOLAMACHI! you might first think of "TOKYO TOWER" and "TOKYO SKYTREE." originally its important responsibilities are transmitting signals of television, and radio. has become the tallest radio tower in the world! 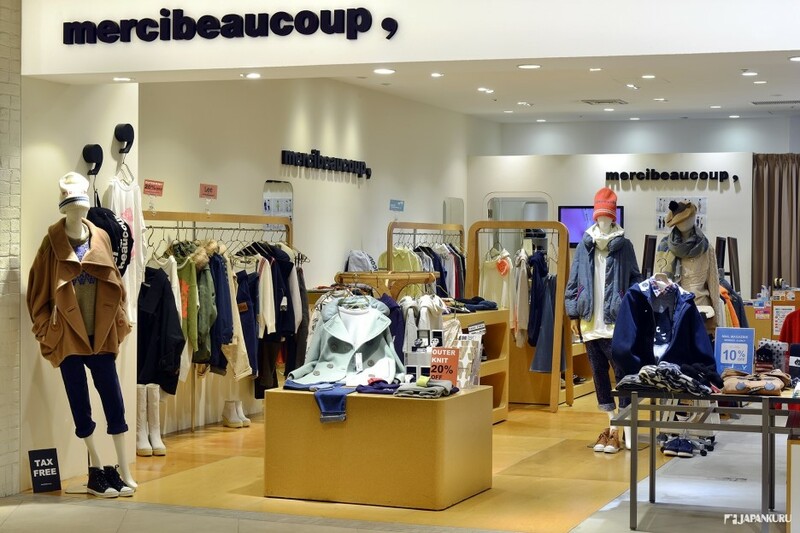 Many people like to go shopping in Shinjuku, Shibuya, Ikebukuro in the western part of the central Tokyo. How about the eastern part of the Central Tokyo? 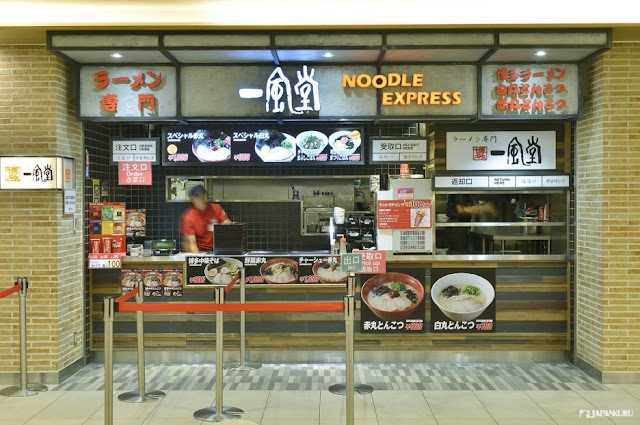 Like Ginza, Ueno, Asakusa, and Tokyo SKYTREE areas? 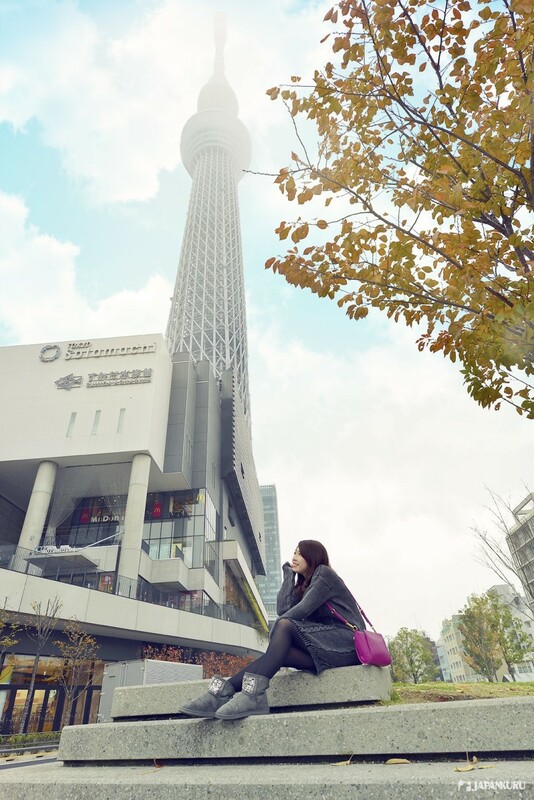 Today, we would like to show you the area around the TOKYO SKYTREE. It is the neighborhood of Asakusa. Yes!!! the well known sightseeing spot for tourist! There are Sumida River, a bubble shaped building of Asahi Beer and TOKYO SKYTREE. 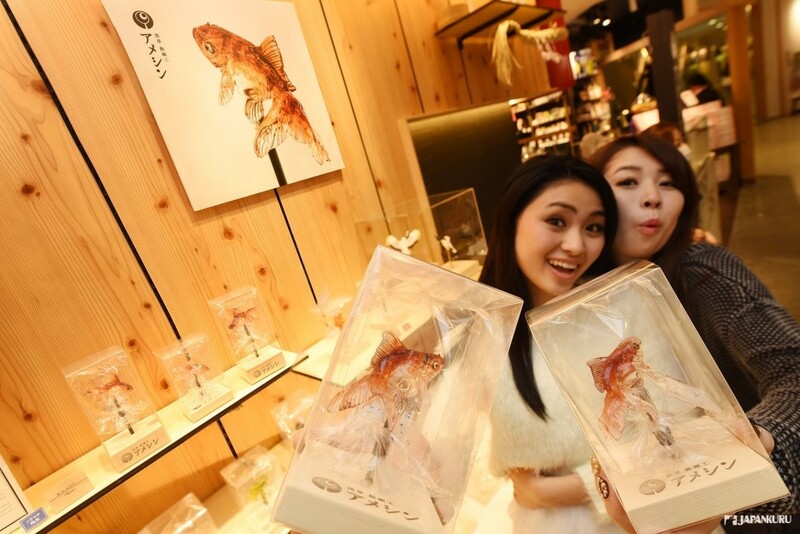 Let's go shopping at the area underneath the TOKYO SKYTREE! TOKYO SKYTREE, shopping center "TOKYO Solamachi" and offices for business used. 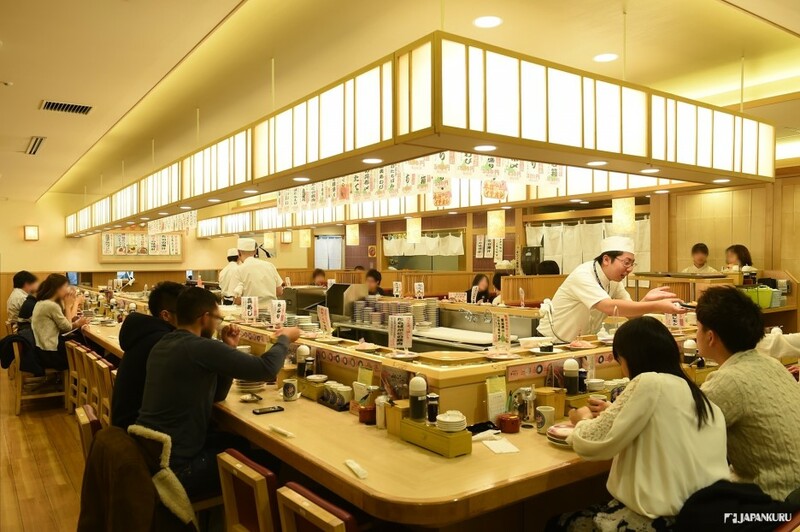 This time, we would like to take you to "TOKYO Solamachi." There are a lot of charming shops and gourmet! It is good for a family day or a date with your beloved! *Open hours are varied from every restaurant. Take the Tobu Skytree Line and get off at TOKYO SKYTREE Station. 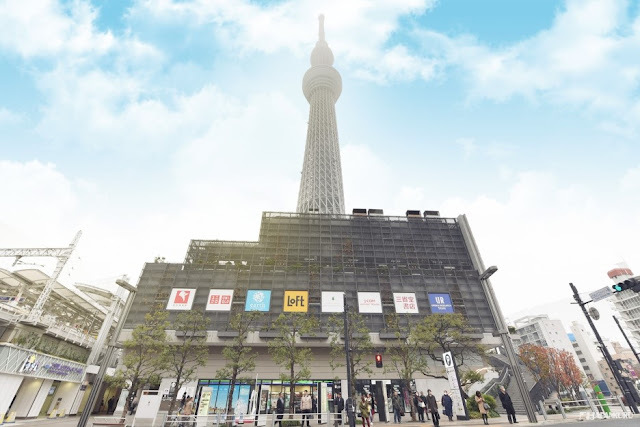 there is another station called "Oshiage Station," which is directly connected to TOKYO SKYTREE. 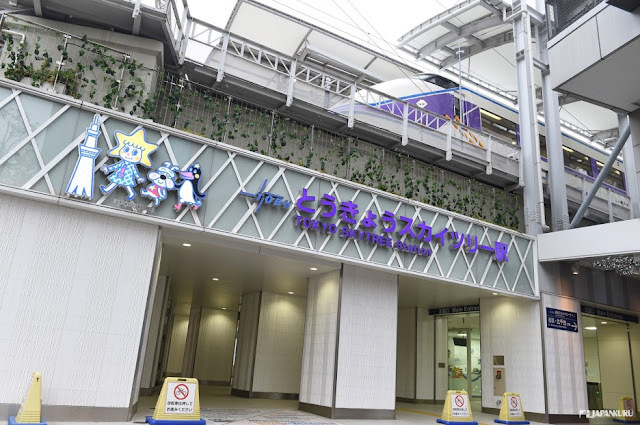 Tobu Skytree Line/ Tokyo Metro Hanzomon Line/ Keisei Line/ Toei Asakusa Line "Oshiage Station"
can access Tokyo Solamachi by passing through the ticket gate and walking through the Tokyo Skytree Town accessway. Feel like you are really shopping in Japan! always crowded and full of tourists who enjoy shopping and food here! It is about 120 meters long, full of shops, food, groceries, coffee shops, and restaurants! Return to Japan in the past! It is a museum of the collection on "Communication." 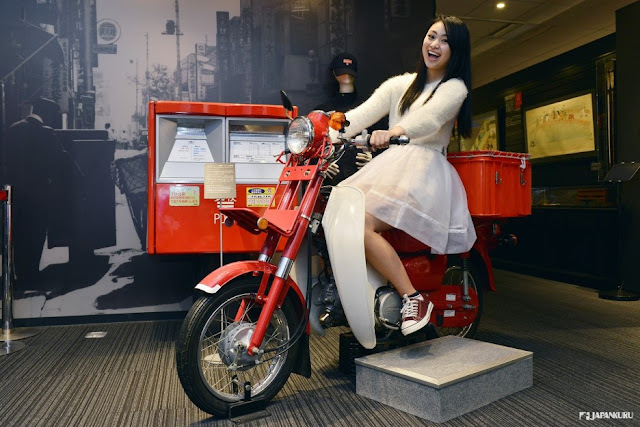 Here, you can experience a lot of history about direct communication and contact through "letter,"
learning the relationship between people in the era relying on letters communication. Nowadays, letters mostly have been replaced by smart phones and various communication software tools. Therefore, we'd better cherish the warm expression to connect with people. Also, there is a zone showing stamps of different countries. Its fun mask is humorous and popular of its high-quality ingredients and beauty solution. 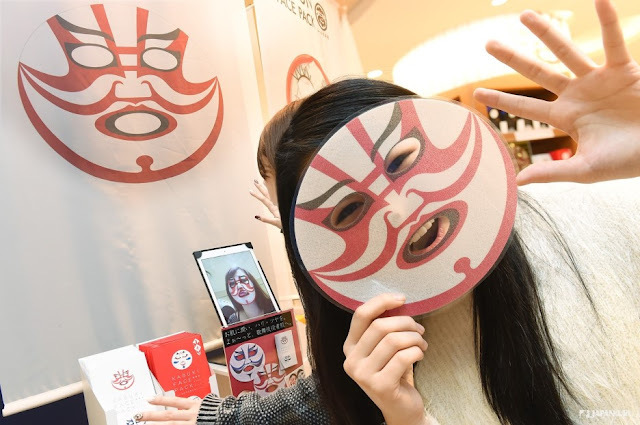 Besides, new designs attracts tourists from around the world. 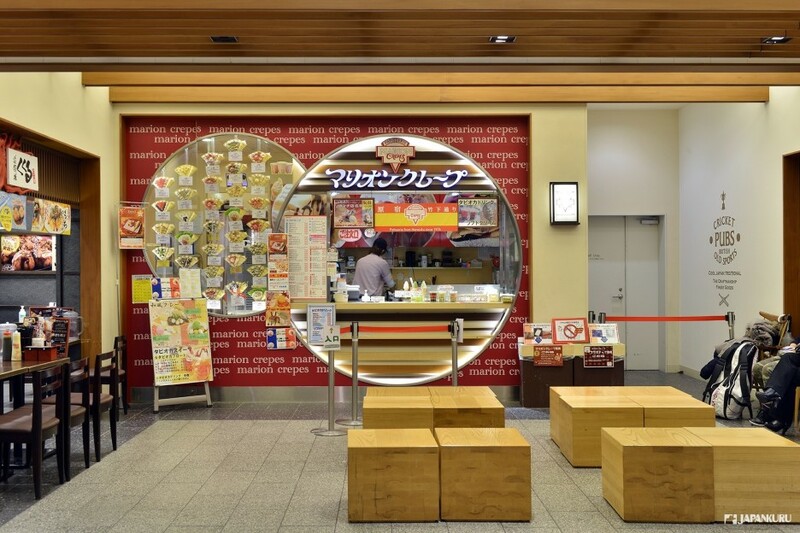 ※　ISSHIN-DO HONPO TOKYO Solamachi Store will be available until 2016.2.29. Kitchen is an important place to take care the eating habits of a family! So it is good to have funny design! This is a store gathering many famous kitchen supplies from around the world. Wow!!! 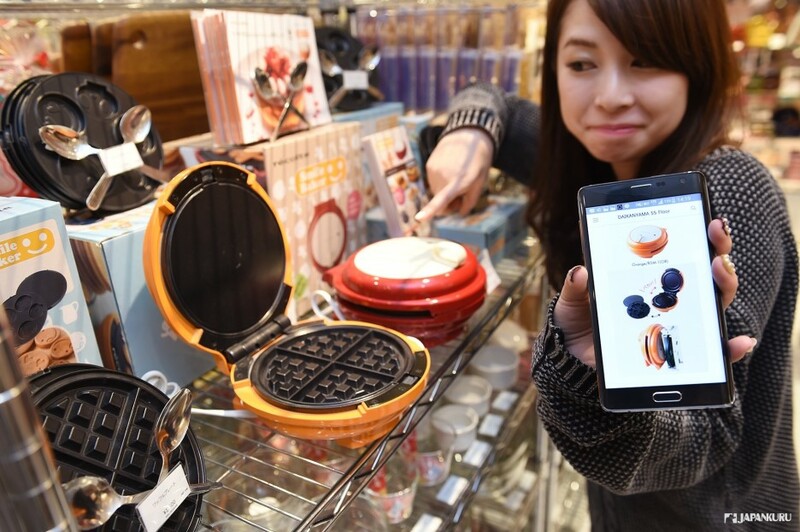 That is the popular electronic waffle making pan!! check the latest models, prices and sales information on the Internet! * This is a TAX-FREE shop. Wow!! Collection of Lucky Cats!!!! 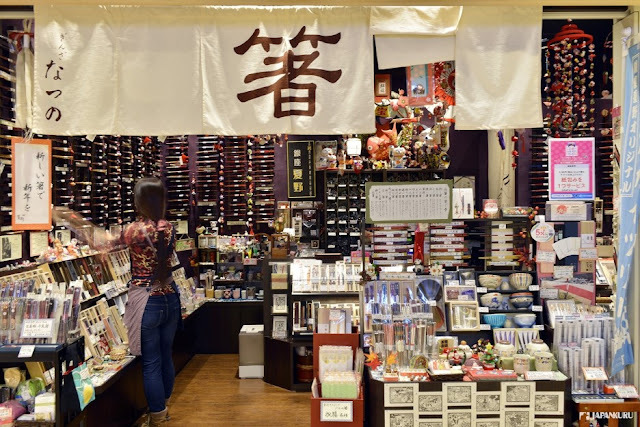 as well as a variety of items full of culture of TOKYO shitamachi (classic town) . 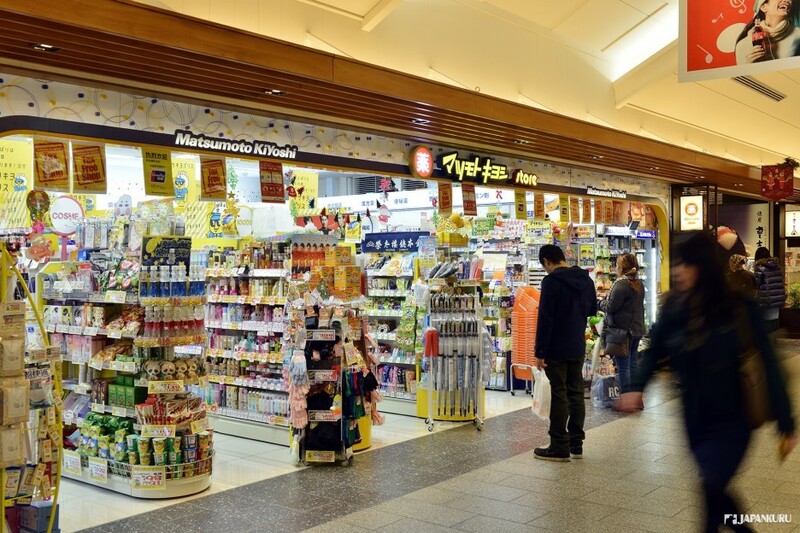 Japan's largest drug store chain Matsumoto Kiyoshi can be found in Tokyo Solamachi. Cosmetic, groceries as well as souvenirs are available here! Of course foreign visitors are welcomed!! 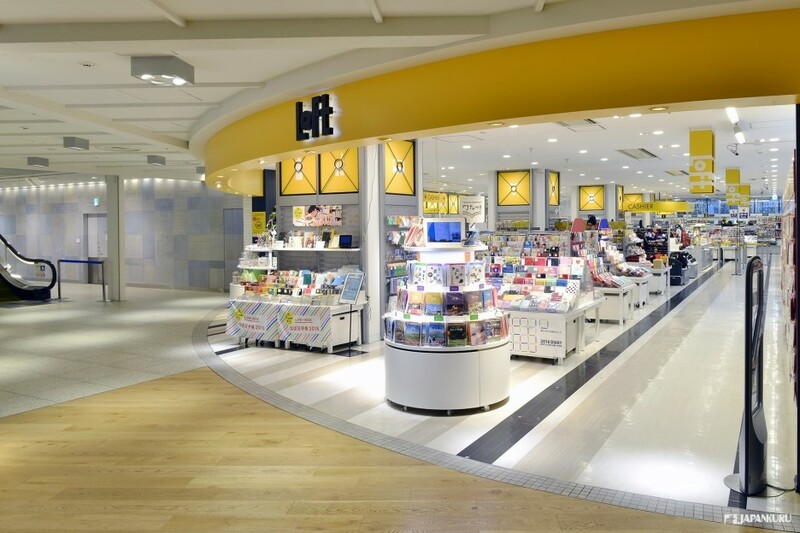 ※This is a TAX FREE shop. Discovering interesting stuff at vending machine! Enjoying gourmets and groceries at the same place. Lemson's is the brand of the popular fashion BEAMS. Okay! Let us try the yogurt and ice cream store in Solamachi! Choose your own taste, enjoy the way of life presented by BEAMS. A lot of original shopping bags are available on the vending machines! Have you heard of the sugar art? It has been popular these days on TV programs. In fact, it is a variety of arts and crafts made by sugar. Just a pair of scissors to turn the sugar into artworks. Occasionally, there will be demonstrations held in store! see if you are lucky enough to see it! "full of all kinds of fun snack shop." all kinds of snacks are gathered here! You might be family with this store seen at Ueno Ameyoko-cho. 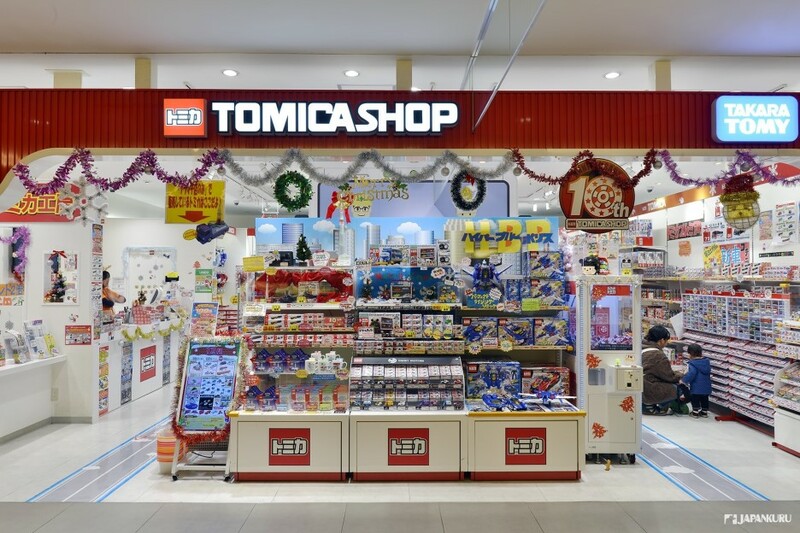 Come to get some original items and snacks here at TOKYO SKYTREE store! A variety of watches, clocks, table clocks as well as wall clocks, can be found here. 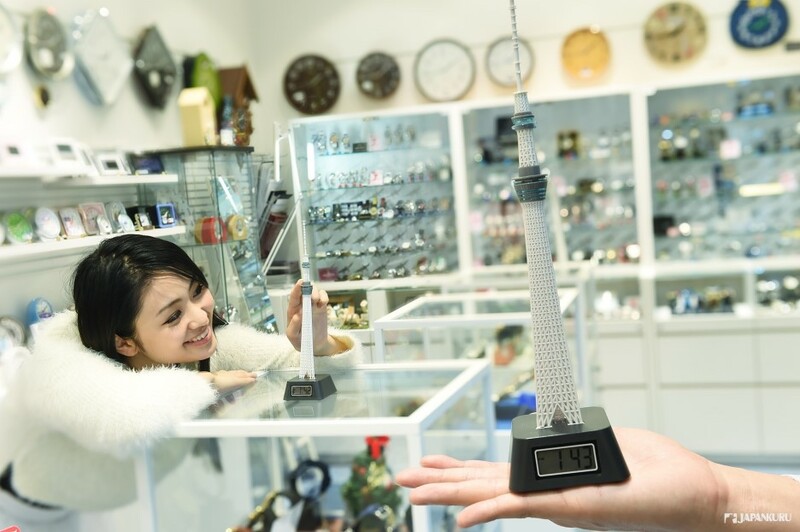 This time, we are attracted by a series of TOKYO SKYTREE featured clocks. Wanna bring it home huh! 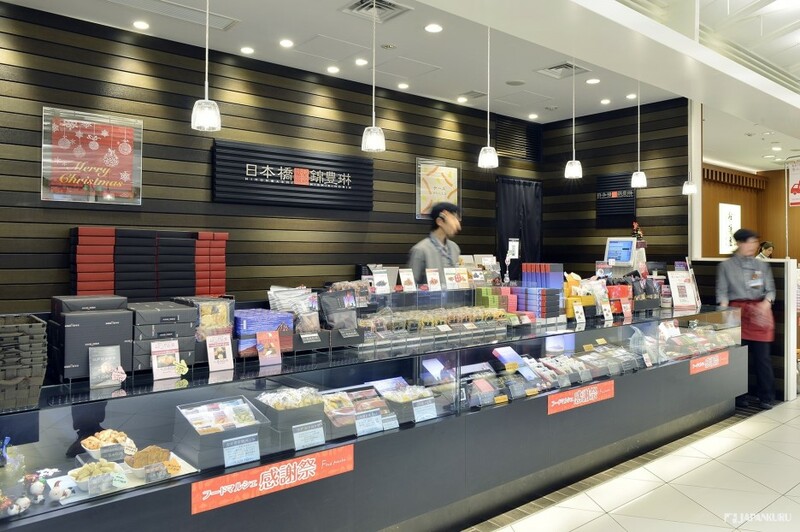 Moreover, professional watch repair counter is available here! ※ This is TAX-FREE shop. Many people come to get the TOKYO SKYTREE limited items. We are totally attracted by this SKYTREE model! Let's have a mini light ceremony. Wow! There are 10 styles of it! Ginger Syrup store "Ginza no Ginger" , yuzu citrus, apples, honey, Hokkaido milk, lemon, blueberries, strawberries as well as brown rice. 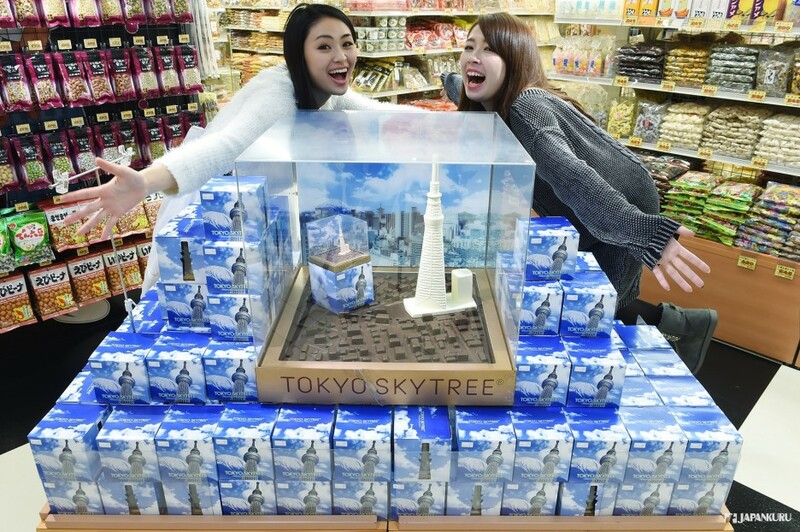 Of course, there are "SKYTREE models." Like a big supermarket! Meet the fresh Japan! buyers go to the market every morning for fresh fishes. 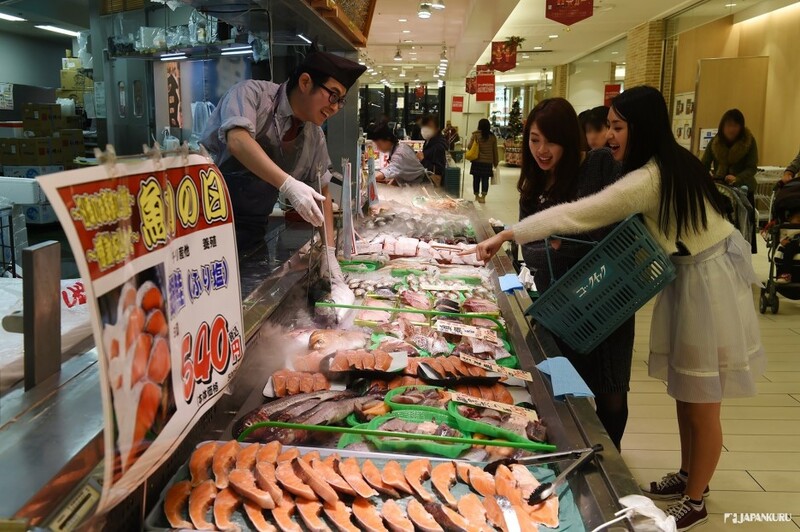 You can't keep your eyes off from the "To-go sushi" that is made from the fresh and delicious fishes! 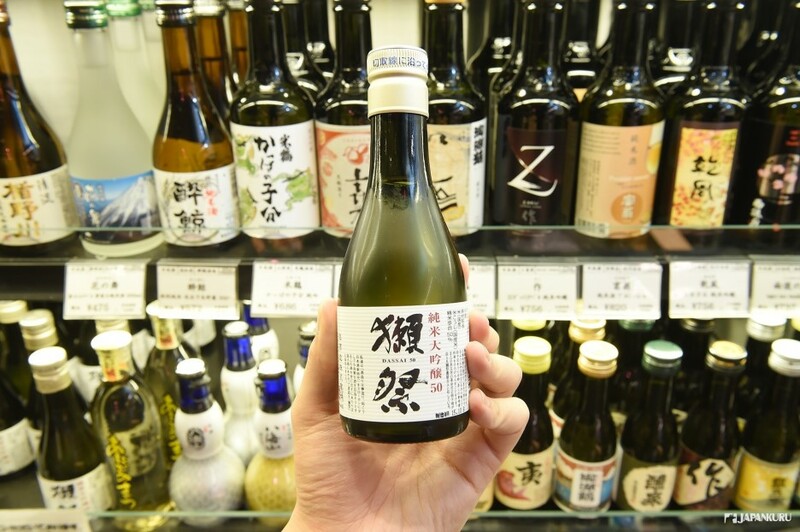 Fresh and high-quality products are directly purchased from Tsukiji market; then, turning to a new product through processing by itself. Oh!!! The processing is making the dried fishes(Stockfish). Vegetables and fruits are all fresh! 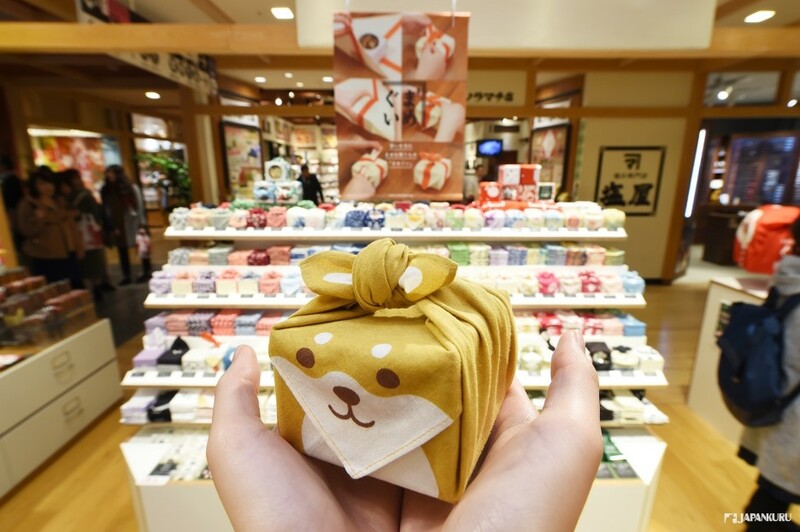 A cute size of souvenir of sweet wrapped by a cute handkerchief. 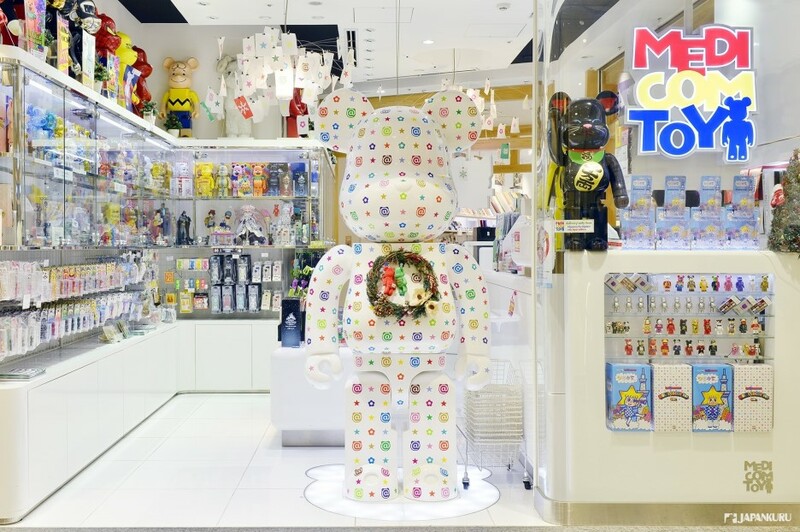 mamegui is a shop combining the tradition and modern. That is why it is very popular to tourists! World-recognized Japanese crafts lacquer chopsticks. There are more than 1000 kinds of chopsticks and 500 kinds of chopsticks stands in store. Oh!! 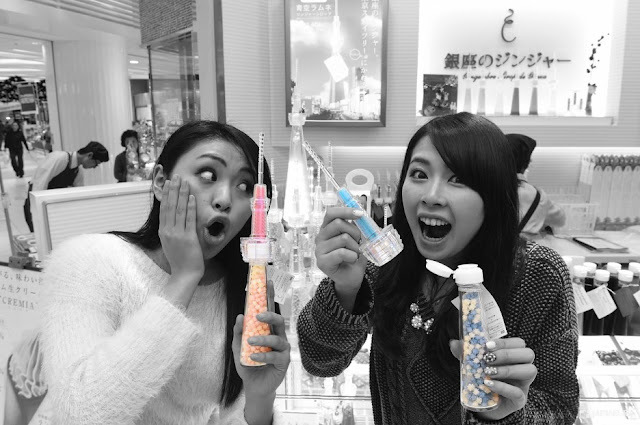 We found the TOKYO SKYTREE ones!! ※　This is a TAX -FREE Shop. It is a kind of Japanese traditional fried snack coated with syrup on the surface. vegetables, brown sugars, gingers, yuzu pepper, sweet potato and other new flavors. Diverse tastes for a wide range of customers. Come to try before buying! You might keep it long before the expire date! Good ideas for souvenirs huh! you won't be missing this! Get one for yourself and as a present! So do the shipping then! And the standard exemption of liquor is less than US$ 400/ 1liter! ANPANMAN, friends of all kids huh!! 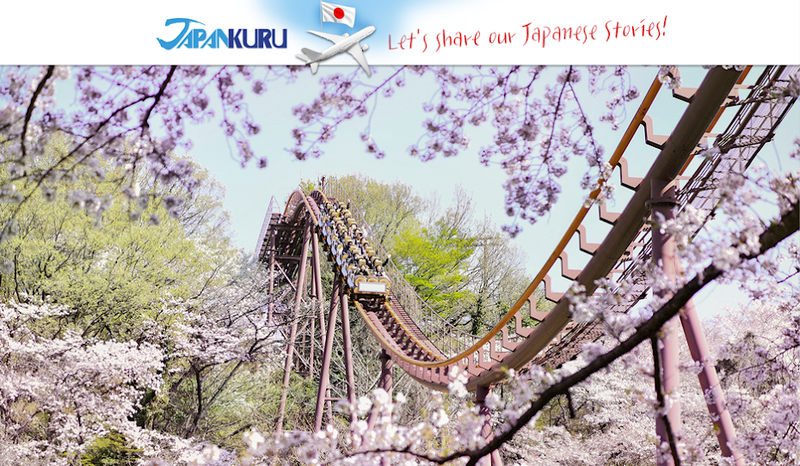 it is popular among all families in Japan and oversea as well! Speaking of TOMICA, you would definitely think of mini cars! The master-class brands, having numerous collectors from Thailand and Taiwan. Oh! Don't miss the TOKYO SKYTREE edition! Are you fans of Bearbrick? A lot of collectors from all around the world. Especially the ones of the well-known cartoon characters! 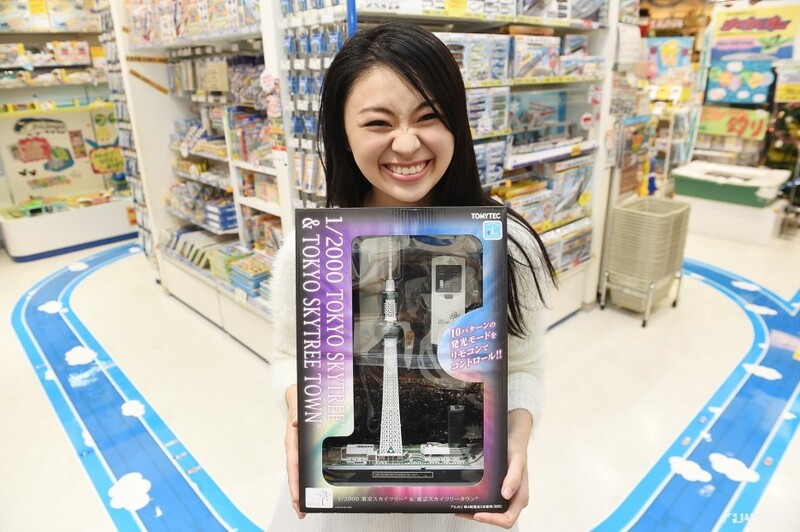 Of course, there are TOKYO SKYTREE edition! You don't wanna miss it huh! 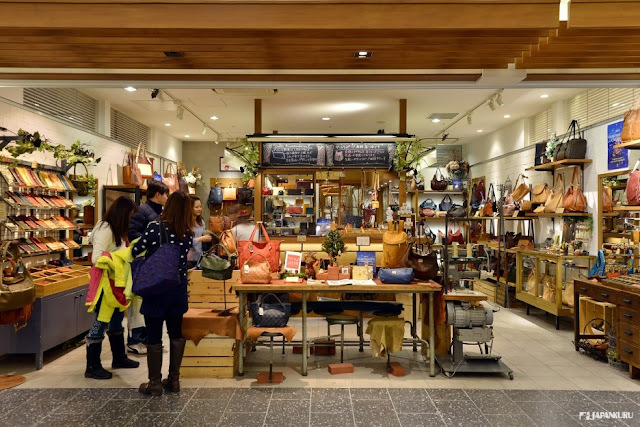 Fashion and groceries, space of the the latest Tokyo! Let's have a closer research of the the latest trend of Tokyo! Fashion, groceries, and all kinds of new items! Wow!! Loft is in TOKYO SKYTREE TOWN- TOKYO solamachi! From Stationery, cosmetics, and other living products! What will be in your yellow shopping bags then! ※This is a TAX-FREE shop. Show your power of tiger !!! Wow!! Let's see both shinning ones! Gold and silver! Which ones do you prefer? ※This is a TAX- FREE shop. Unique design style of a popular fashion brand! Members of the famous Korean boy band bigband like this brand very much! From leather to design, sewing processes are all completed in Japan. simple design and first-class quality of leather are used. Of course, with the excellent spirit of artisans, achieving the best quality! Come and encounter the handmade products in different personalities. You don't really have to go to Osaka for Takoyaki! In this cold season, stay warm and have some heated takoyaki!!! Together with your favorite seasoning, let's enjoy! with a various topping like fruit, cream and other sweet syrup. Crepe is not only available in Harajuku. Sushi-go-round, one of the Japanese representative food! Of course fresh seafood is used! 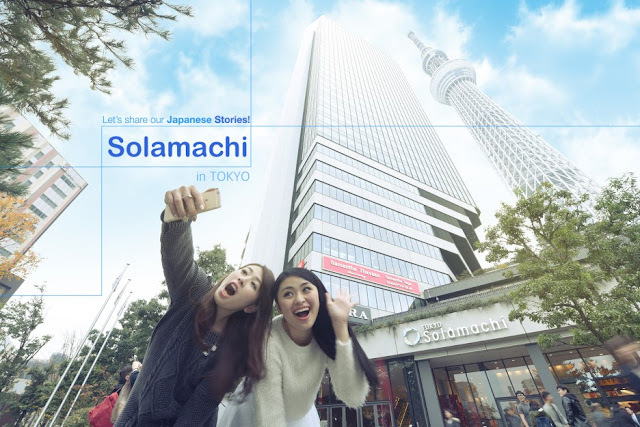 It has been voted the popular stores in TOKYO SKYTREE TOWN- TOKYO solamachi. Speedy but never changing flavor and atmosphere of IPPUDO! You know the rich variety of rice ball? You will be surprised by the variety of rice ball here! You can eat here or take out. 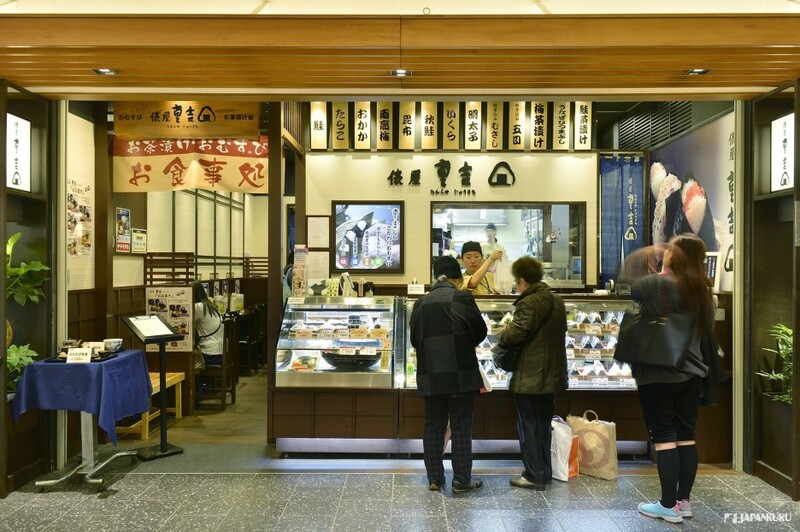 We recommend the salted rice ball here! 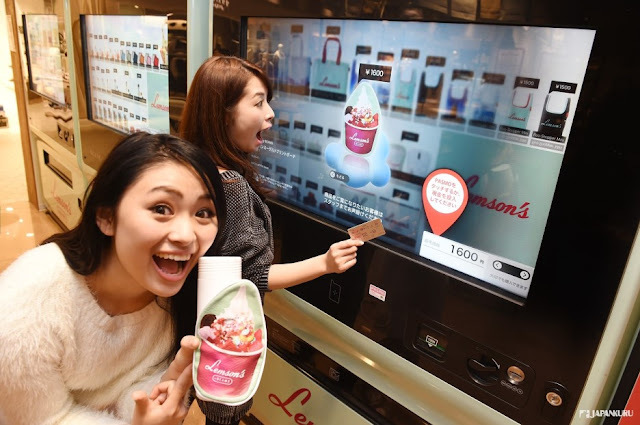 Lemson's yogurt and ice cream. It is a brand of BEAMS! Choose your favorite flavors and topping! 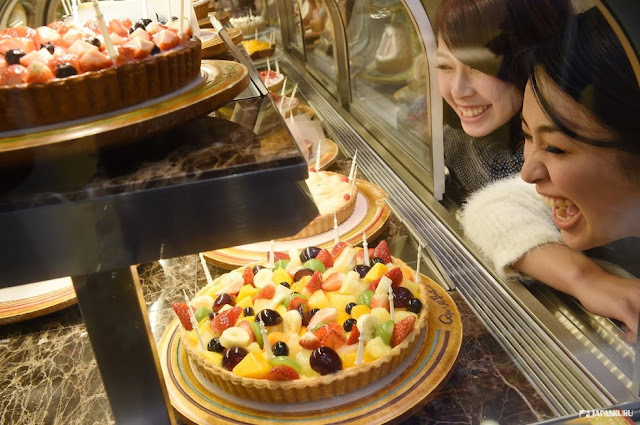 One of the popular sweet shops in TOKYO SKYTREE TOWN- TOKYO Solamachi! Using the seasonal fruits, which makes you wanna have a bit! You can have it here at the cafe or there are some other cakes as well to take out! We have just had a highlight of it! Of course there are also a lot places to discover! It is really a nice spot to spend a day here, especially for tourists! and free Wi-Fi access of <TOBU FREE Wi-Fi>! 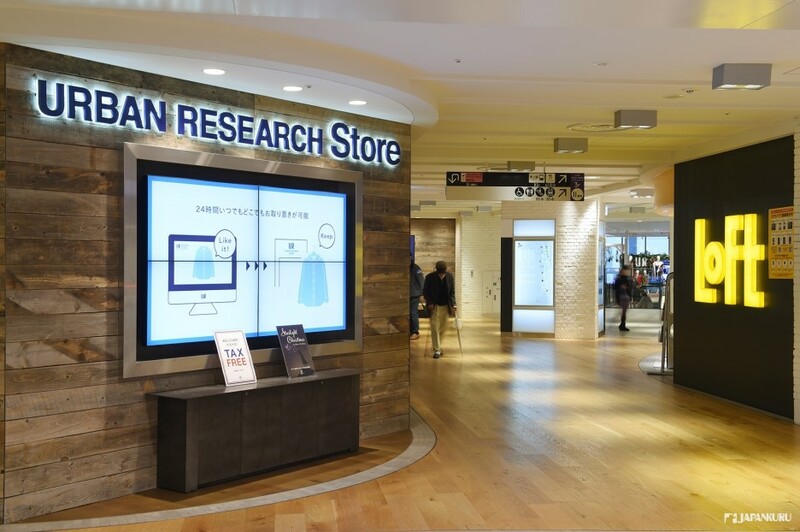 Original TOKYO SKYTREE items can only be found here! 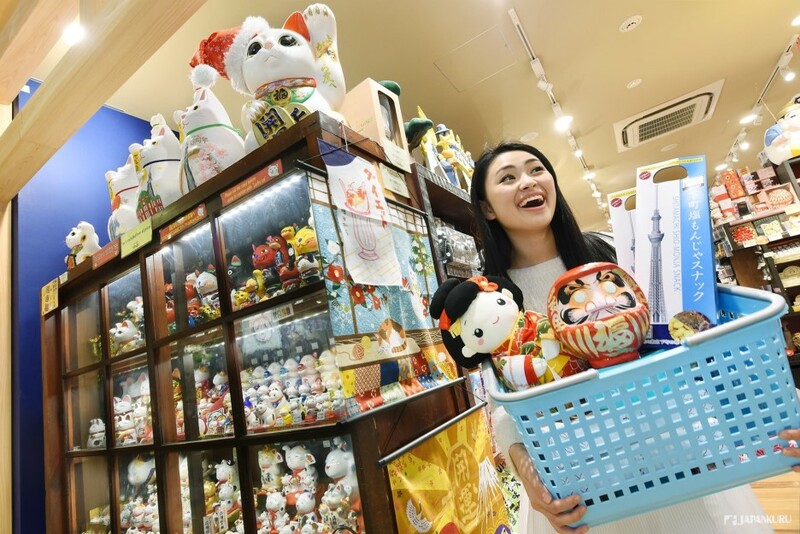 TOKYO SKYTREE TOWN is definitely a popular spot for tourists! Shopping, sightseeing and Japanese culture experience are all here!